The deal of the summer is back! 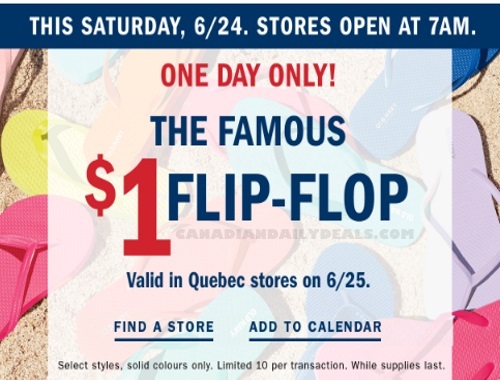 Old Navy Famous $1 Flip Flop sale is back this Saturday, June 24, 2017! This sale will be available across Canada on June 24, and June 25 in Quebec. Available in-store. Select styles, solid colours only. Limit 10 per customer. While supplies last.